Sheffield England, a city with a long tradition in stainless steel. 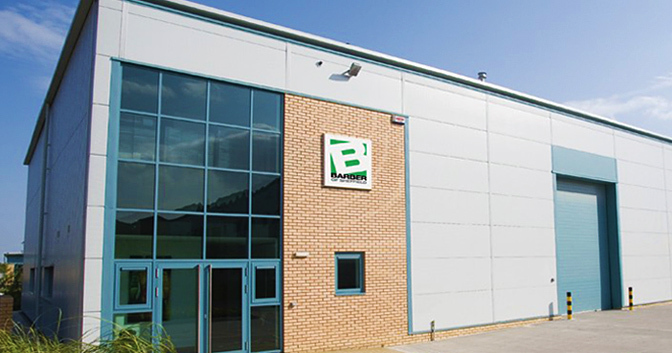 A dedicated company supplying high quality needle products in the UK for an international market. Our offices and are based in the North of England, in the city of Sheffield which is famous for its deep history in stainless steel production and quality manufacturing. Barber have a varied selection of needle products, including suture needles that have eyed or drilled ends. We also specialise in stainless steel hypodermic needles as well as creating bespoke needles for your particular requirements. Our products are used the world over by a varied selection of international companies and businesses. We have a supply of standard products available as well as the options to create bespoke needles in either small or large volumes to suit your needs. All of our high quality needle products are manufactured to premium standard stainless steel. We use high precision machinery that is controlled via computers to ensure supreme levels of quality and manufacturing as well reliable and consistent products. The products manufactured at Barber of Sheffield are subjected to a rigorous quality control process. This helps to ensure they always have premium standards of sharpness, rigidity, durability and presentation. The needles are finished and honed by hand individually. This helps to increase the levels of sharpness, as well as ensuring that when used, the needles have a smooth passage through tissue with lower levels of trauma to the surrounding area. Here at Barber of Sheffield, we pride ourselves on offering a varied range of high quality needles. All our products are manufactured to above national and international standards, while still offering our customers competitive prices.